We’d love your help. 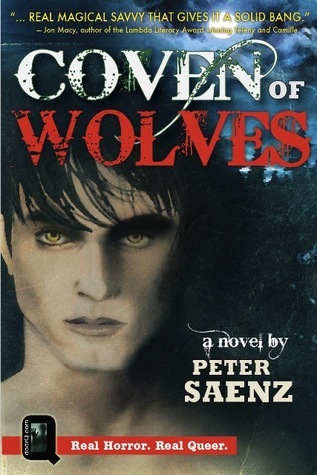 Let us know what’s wrong with this preview of Coven of Wolves by Peter Saenz. To ask other readers questions about Coven of Wolves, please sign up. I read that book a long time ago, so after seeing an audio format of that book, I just had to listen to it one more time. Today, I have to admit that I don't feel the same as 4 years ago. Even if story plot is complex and pulling I miss genius romance between both MC's. First, I have to say to everyone that you won't find romance in that book. There were some hints but that is all. But even so that story plot is full and I had great reading time. Peter Saenz has done I read that book a long time ago, so after seeing an audio format of that book, I just had to listen to it one more time. Today, I have to admit that I don't feel the same as 4 years ago. Even if story plot is complex and pulling I miss genius romance between both MC's. First, I have to say to everyone that you won't find romance in that book. There were some hints but that is all. But even so that story plot is full and I had great reading time. Peter Saenz has done really great work with that story plot. Maybe he will do a sequel, I don't know. This series was released in an audiobook edition, which is awesome. The main storyline is okay, but personally lacks a deeper and better developed plot. I have to admit, even romance between both MC, didn't feel personal. It could be better! Now this is truly an interesting plotted fantasy. This whole story is action packed for an entire time. A reader is pulled into Devin fight from the start, I liked that. Devin was really pulling character. He wasn't self absorbe This series was released in an audiobook edition, which is awesome. The main storyline is okay, but personally lacks a deeper and better developed plot. I have to admit, even romance between both MC, didn't feel personal. It could be better! A richly imagined, but not well edited, tale of a male witch on the run from an evil coven master. 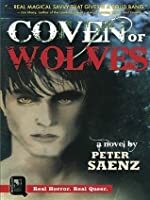 He connects with an ally from that coven, and turns out to have affinity with wolves and a connection to werewolves. The makings of a really good book are here, with a good plot and characters to work with. Some of the scenes are riveting and memorable. The take on shifters and witches and magic is fresh and worth a read. This is a great book... no matter the adversities in life unity makes strength. Family comes in different ways. Not everyone who is blood related can be trusted. Magic is in knowing who can become family. May it be an animal a witch or someone with a different sexual orientation. This book has those factors...we are all beings from this earth and we must share it with many different types of people. I recommend this book as an eye opener. To read this book is to embrace our individuality as well as our similarities. After all we are created equal...aren't we? This was pretty good! I hope there's a sequel.